"Dr Edward Savage is great. Very knowledgeable. Patient oriented. I recommend Dr Savage as an excellent heart surgeon." "My husband and me are so glad we lived in Miami, Coral Gables. My valve surgery repair was the best... I can't thank Dr. Savage more." "Dr. Savage was amazing... The best!" "All I have to say is HE GOT THE JOB DONE! I was scheduled for surgery on the 5th of December and had an aortic aneurysm rupture so it ended up being an emergency operation. I reside in Nicaragua. So far, everything has gone great. As far as I'm concerned, all the team of Doctors and Nurses saved my life. " "Dr. Edward Savage, aside from being a most acknowledged cardio vascular Doctor and Surgeon provided me with the knowledge and information related to my procedure, that promoted an extreme sense of confidence and trust in his ability to successfully correct my mitral valve prolapse with severe regurgitation. My results are a testament to his surgical and supervision skills, along with his team of doctors, nurses, and staff, that have led to the successful minimally invasive surgical treatment of my condition. I can and will, without hesitation, recommend him to all friends, family, and general public that may require Cardio Vascular surgery and care in the future." "Dr. Edward Savage is the "GREATEST" along with his staff. Dr. Savage put myself and family at ease. He also contacted my primary care provider in Viera, Florida updating my status every step of the way. Dr Savage included my family and my primary care provider to his great team as this is a "team effort" to get a great outcome. The procedure was 4 weeks ago and I feel "GREAT". No limitations!!!" "Dr. Edward Savage and his team provided the optimum experience for my valve repair using a minimally invasive procedure. I could not be more pleased with the surgery, the hospital, the staff and the results. Dr. Savage was exceptional in terms of being available both pre- and post-surgery. Doctor Savage has a warm and caring manner. I highly recommend Dr. Savage." "Well, considering that I had HOCM, needed a septal myectomy, my mitral valve was torn and needed to be replaced, and I had 2 blocked arteries -- all of which were to be corrected at the same time -- I would say that words cannot adequately describe my feelings towards Dr. Edward Savage. How can you put into words the stature of such a wonderful and dynamic man who truly is gifted and uses those gifts in such a surreal manner? His whole aura makes you feel so protected, so safe, and so confident that all will go well and you will survive." 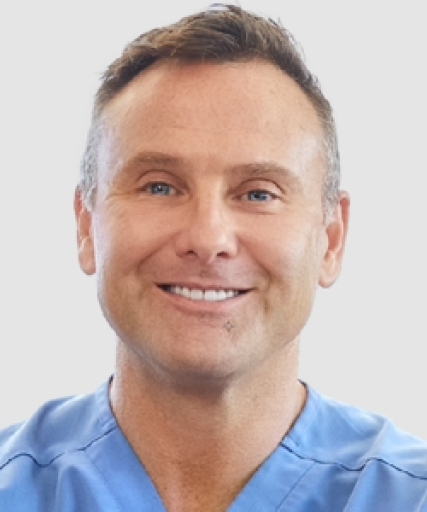 "Dr. Savage is an OUTSTANDING physician He has been thoroughly professional, caring and warm, cheerful, exceptionally good at communicating with the patient and the patient's family, and the surgical result was totally successful, leaving me with a heart that is healthier than it was the day I was born. I would heartily (pun intended) recommend Dr. Edward Savage to anyone contemplating heart surgery There is no one better at this on the planet, in my opinion." "As a former critical care nurse, I can unequivocally state that the surgical procedure and care that I received from Dr. Edward Savage was beyond compare. His explanations were through and put my family at ease. The surgery was a complete success as he masterfully repaired my valve instead of replacing it. The minimally invasive surgical site had exceptionally clean edges, and being located under my breast, will not ever show. I would whole-heartedly recommend Dr. Savage for Mitral Valve repair and the Maze procedure." "My surgery included mitral valve replacement, triple by-pass and maze procedure. Dr. Edward Savage was skilled, professional, and informative. Dr. Edward Savage was aware of my fear and trepidation prior to the surgery and helped me to overcome those issues. Now, in my post-operative recovery, I am convinced that he has added years to my life. " "Dr. Edward Savage is an outgoing and friendly individual whose communication skills with the patient and family are outstanding. The combination of these traits greatly reduce the anxiety prior to a heart operation and are critical after the operation during the recovery. Dr Savage is dedicated beyond my expectations. I am thankful to have crossed paths." "Dr. Edward Savage is a wonderful doctor. In addition to being a wonderful surgeon, he has a great personality. He answers your questions and takes the time to explain things to you. No one likes to have a heart operation, but if you must, you are in the best of hands with Dr. Savage." "Dr. Edward Savage was reassuring and totally professional. I had absolutely no misgivings about the success of the procedure, but the results vastly exceeded my expectations. I was up and walking one day after surgery, and was discharged from the hospital two days later. The simplicity of the procedure and the very minimal discomfort allowed me to resume my life with very little disruption. Upon discharge, I had no difficulty climbing two flights of stairs to our bedroom. Dr. Savage is a superb Cardiothoracic Surgeon, and I highly recommend him without reservation. "